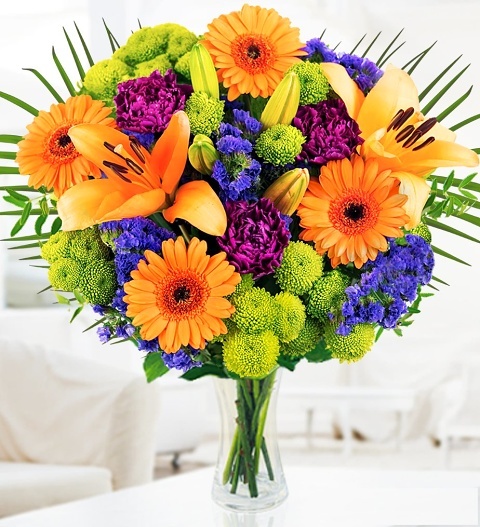 A glorious celebration of beautiful lily la orange flowers, blue Statice, germinis, carnations and chrysanthemums. This arrangement is skilfully arranged by our talented florists and is perfect for all occasions. Available for UK next day delivery, Joyful comes with a FREE box of fine British made chocolates. Chocolates may contain nuts.